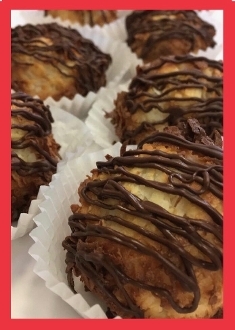 We started by offering these gluten-free coconut delicacies as a Monday Special and now we're making them available to you! ANY DAY, anywhere in the US. $13 FOR A PACKAGE OF 6 (six) or $26 FOR A DOZEN.